eBay Other multiple beads European beads Sew On Resin Buttons Resin Rhinestones Rondelle Spacer Beads Turquoise beads key chains Store category Other multiple beads European beads Sew On Resin Buttons Resin Rhinestones Rondelle Spacer Beads Turquoise beads key chains Sign Up Now ! 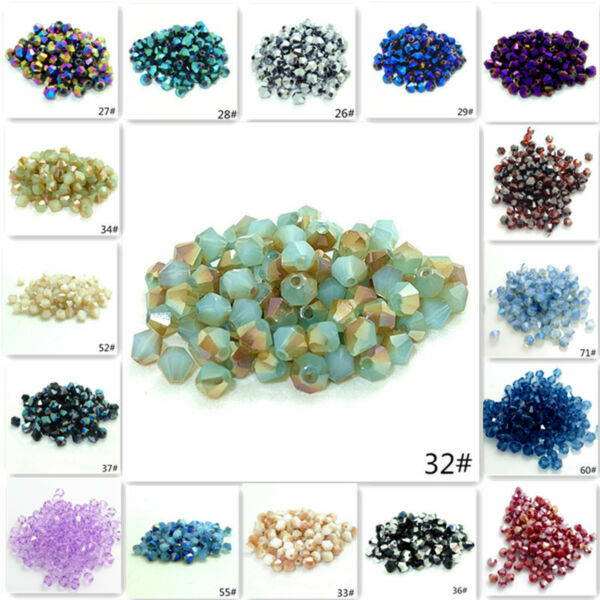 You may also like Wholesale 200pcs bicone crystal glass 5301 # 3mm loose spacer Beads DIY hot Product Description Wholesale 200pcs bicone crystal glass 5301 # 3mm loose spacer Beads DIY hot Payment Delivery details Terms of sales About us Contact us Payment Please make payment as soon as possible，then i can sent out your order in 24 hours after you finish the payment,any question please contact!thank you very much! Delivery details Shipping: Items will be shipped within 24-48 hours after payment confirmed,except weekend (Saturday and Sunday) and Chinese official holidays. Items will be shipped directly from the manufacture location.Please find the shipping time and the corresponding rate by your location in the following table: Country Delivery Time Working days 5-10 11-15 16-20 21-25 26-30 >31 Calendar days 5-12 13-19 20-28 29-35 36-45 >41 United States Rate of arrival 9% 50% 35% 5% 1% Resend or refund Canada, Australia Rate of arrival 4% 45% 43% 6% 2% Resend or refund United Kingdom Rate of arrival 7% 46% 44% 2% 1% Resend or refund Europe (Exclude UK) Rate of arrival 2% 38% 45% 11% 4% Resend or refund Others Rate of arrival 3% 38% 48% 8% 3 Resend or refund The shipping time shown above is in the normal situation and may be varied due to customs random inspection, post office's delay, weekend, holiday break or abnormal weather factors. Terms of sales please see the picture and the title,if there have any more question,please contact me,i will responds you in 24 hours,thank you! About us Contact us any question please contact us,we will responds you in 24 hours.thank you very much!